This brand is offered through multiple vendors. Please click on the vendor name below the product to view the vendors terms and policies. One expression can best answer that: YEOWWW! 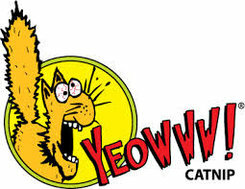 More specifically, Yeowww!® Catnip, appropriately named due to the phenomenal reaction cats have to our catnip.